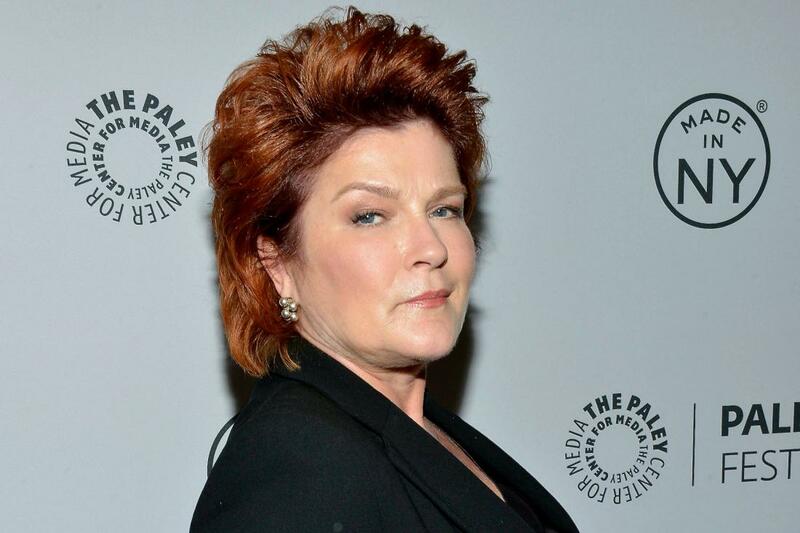 Actress Kate Mulgrew claims she was duped to narrate The Principle. "I was a voice for hire, and a misinformed one," she stated. It has been a year since “The Principle” came out—a controversial astrophysics-based/theoretical documentary challenging the Copernican Principle with a geocentric dialogue. After its release, narrator Kate Mulgrew and scientists Max Tegmark among others such as Michio Kaku and Lawrence Krauss distanced themselves from the project, claiming that they were misled about the film’s agenda. However, to proponents of geocentrism, the backlash seems to confirm the dangerous truth that the universe revolves around the earth. I had the chance to interview the film’s director, Katheryne Thomas, about geocentrism, the controversy the media stirred over the release of the movie, and the secrets to success in filmmaking. CH: What was the most outstanding piece of evidence that shocked or surprised you about either the Copernican Principle or geocentrism? KT: I myself don’t believe in geocentrism, but what really shocked me was the axis of evil. You can say what you want about it, but I do think that the Earth is special because there’s life on it. It’s funny is that you have someone who is not geocentric and not religious who found this anomaly and got confirmation that this anomaly is real. When we went back and interviewed Max Tegmark, he was so excited that his work had been validated. There is evidence in the papers that have come out that there might be a little bit of difference from what we have been believing in the last hundred years. And that’s what I find very interesting, is being able to have the conversation about that. We might not all agree on what it means but there’s something going on and we need to figure out what it is. CH: Were you prepared for that amount of controversy and backlash during the making of this film? KT: When [producers Rick DeLano and Robert Sungenis] brought me on, they said told me it was controversial. What got me was that people who were going after the film didn’t even see the film. They based it on a few people who were involved in the film. We were very upfront with [the scientists]. We were going to ask controversial questions. Some of the questions had a geocentric slant, but they were there answering them. If they had any problems with answering them they would have gotten up and left. And Kate Mulgrew read the script multiple times before she signed off on doing it. She was really excited when we went into narration. At first she didn’t want to be on camera behind the scene, but after we had such a great session, she realized the power of what we were saying and she wanted to be on camera. You shouldn’t judge anything before you see it. That’s how I stand. I’d see any film before I’d say anything or judge it. Even the marketing people can say multiple things about the film that are not even true. In documentary you deal with [controversy] all the time. That’s how the game is played, I guess. Actress Kate Mulgrew claims she was duped to narrate “The Principle.” “I was a voice for hire, and a misinformed one,” she stated. CH: If you could travel back in time, what would you tell yourself during the making of this movie? KT: I would be more vocal about my side. We would have done marketing ahead of time to let people know that this is a film about the Copernican Principle. If you wanted to watch something about geocentrism, you could watch Robert’s “Journey to the Center of the Universe” because that’s what that’s all about. I never back down from a challenge. As a filmmaker I will never back down from letting somebody else to have their chance to talk. When I watch science films, it’s always one-sided. Instead, we have a lot of people who have a lot of say in the film. I would have added more of that—we only had an hour and a half. I wish I could have added more perspectives and more sides, because that’s what everybody wants. They want to learn more. That’s why our podcast and the special features are doing so well, because once people start watching, they crave more. What’s really funny is that even people on the opposite side want to see more. People from different perspectives have watched the film and still get really excited and want to learn more. CH: As a high schooler we absorb a lot from teachers and textbooks. What advice would you give to high schoolers to look outside of those resources and find the courage to question the established? KT: When I was going to high school, I didn’t have Facebook and YouTube. I had to go to the library or the movies or had to watch Discovery Channel or PBS. I think it’s really cool that people who are growing up right now in the high school and the junior high level have access to more things so they can make up their own mind so they’re not told this is what we should think. You should be given all the facts—I don’t care how old you are. You should be given all the facts and you should decide what you believe, no matter what your parents believe, no matter what your family believes—everybody should be given that. That’s happening now. My 18-year-old niece has questioned me on this film. We’ve had great discussions on it and that’s because she’s done her research. When I was cutting [the film] with the interns, they were so excited because they actually knew who these scientists were. They were excited to be part of this project because they watched Discovery and saw them online. CH: What experiences or skills have helped you become successful? What is the most rewarding thing about being a filmmaker? KT: Learn how to market yourself. Don’t expect anyone to do anything for you. You have to work 12-14 hours a day. You don’t get any time off. There is a reward: it’s whenever people watch something you’ve done and say something positive about it or they come up to you and want to discuss it with you. What’s even better is when somebody who doesn’t think the way you do says hey, you did a really good job on this. That’s really what you want. In Hollywood it’s really hard to get projects made. At the same time it’s really easy too because there’s so many places you can go. I would also say don’t ever be discouraged because you can go to 20 to 30 people and one of them may say yes. You might quit at 80, and 81 might have been a yes. So if you really believe in something, don’t say no. Don’t ever stop. CH: What aspects of cosmology and other sciences would you like to explore in the future? KT: There’s more stuff that can be said for what’s going on in the axis of evil and what’s going on in all of cosmology right now. It’s a really fine time to explore. There are a lot of discoveries being made everyday that are not fully developed and talked about. There’s another side I’d like to hit—the metaphysical realm of what would it mean if we are significant in the universe, if we were geocentric, or if we have some sort of significance to what’s going on. I love seeing the conversations on Facebook with people who are currently researching—they’re asking us to cover more things, to offer different subjects. There are so many things we could tap into. “The Principle” hits iTunes and Amazon on Aug. 9. One “argument” against geocentrism is that of size as importance. This always has seemed silly to me. If human and other life thrive most profitably on a small planet around a middle-size star, then that is what is important, not something more overwhelmingly gigantic but which, because of its very scale, is inhospitable to life. Am I more important, at six feet one inch, than a scientist or than a philosopher who measures only five feet five inches in height? Am I more important because I weigh about two hundred sixty pounds than the other dude who only weighs 130 pounds? Does he orbit around me because of any slightly greater gravitational pull, however slightly greater, that I could that could seize him into my orbit? These arguments of scale are a very foolish affair, I would wager! Her back back pedaling is offensive. But is clear she knew the dialogue and she isn’t stupid. It just makes her sound ignorant and obnoxious. Bathe movie is well thought out and invites dialogue Come on Kate Man up, so to speak. I like Captain Katherine Janeway. Don’t make it a controversy. If she wants out, let her out and let it be a ministry to her. The attack on Christians is intense, you have to have special grace to walk, stand and sit with God.